Hitler’s Art Thief is one I picked up on a whim at the library and I am really enjoying. It blends history, art history, and intrigue in a true story that is so well researched. I like it because it is the perspective of Germans during WWII, while so many other books are written from the perspective of the allied powers. All the Light We Cannot See blended the two well and that sparked my interest in this book as well. I am not sure yet about Little Bookstore of Big Stone Gap. I started it, but it is moving slowly. It does have a strong recommendation so I think I’ll give it a few more chapters to make my decision. Have you read it? I’d love to hear your thoughts. The Long Winter – we are listening to this in the car, on cds from the library. I just found out the series will be available on audible this February! All. seven. of. them!! I’m thrilled. These are certainly family favorites. After moving back to a snowy climate, I thought this would be a perfect book to listen to in January, but our measly 1″ or less this month is really not holding a candle to the blizzards the Ingalls and Wilders dealt with. I’ve been wanting to better my understanding of how Charlotte Mason approached the subject of math and how that aligns with modern research. This book has been so helpful. I have walked away inspired as a teacher! 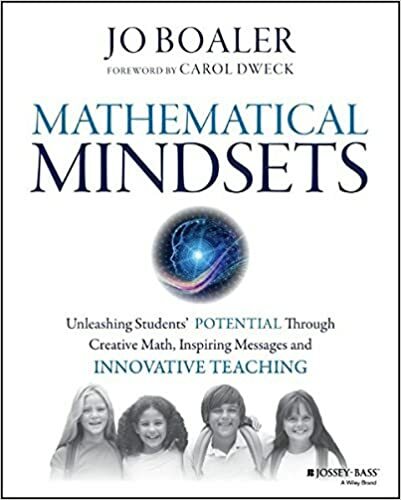 I can see how my “fixed mindset” held me back in math as a child and I want to do better with my own children. It’s also been great to see much of what Mason believed about how the brain works is continuing to be proven true. 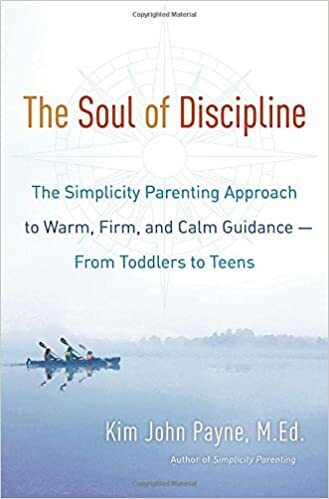 Simplicity Parenting has been one of the most influential books I’ve read on parenting, so I was excited to read Kim John Payne’s more recent book, The Soul of Discipline, especially with a soon-to-be teenager in the house. His approach fits very nicely with Charlotte Mason’s idea of Masterly Inactivity. Funny coincidence with Camille’s family…we are reading Farmer Boy at our afternoon Tea Time. One afternoon the description of their ham dinner with preserves, beans, bread, potatoes and pie had our mouth’s watering, we called Dad and asked him to bring home a ham and a pie! We’ve been having “farm dinners” on our menu rotation since! Charlotte Mason’s second Volume, Parents and Children, for book club. We read chapters 3 and 4 for our meeting. It seems hard to find the old style pink paperbacks these days if you like to hold a book as I do, rather than read a website. If I were you, I’d wait until Riverbend Press comes out with their beautiful hardback copies, but if you aren’t patient enough, you can find the book here. Vittorino da Feltre and Other Humanist Educators, by William Harrison Woodward. I started this in order to read along with Brandy. I’m so glad I did. There is so much goodness in his writing. So much of it seems like it could have been pulled off the pages of Charlotte’s volumes, and indeed it was Charlotte who recommended that he be read in the back part of Volume 5 where she wrote this glowing review of this book she read when it first came out in 1897. The book is really quite good and it tempts me to write here alongside Brandy because I’ve got thoughts people. I’m also apparently the last person to read The Awakening of Miss Prim. That’s ok. I’m late to trends all the time. I really enjoyed it. It falls firmly in the category of easy, enjoyable read and is far from “a stiff book”, but it has a charm and whimsy to it that I found so sweet without being cloyingly so. Maybe it is because I am reading it at the same time as Vittorino up there, but it felt like a vacation for the mind and I read it in two days. In the interest of full disclosure, the book I read most is really this one: Winter is Coming. I think you might also love as much as we do. I’ve been reading it every. single. day. at the request of my toddler, but I gladly oblige. It is rare to find a story that so seamlessly includes so many of the beautiful aspects of nature study without being at all about nature study. You see the quiet observation, the drawing, the variety of animals illustrated beautifully and the changing of the season from fall into winter… it is truly delightful. Well, I finally have some books to share! I really felt that all of the books I read last month weren’t worth mentioning. For example, my dear husband bought me a French novel as a gift. I had been a bit down and a new book was just the thing. However, he didn’t read it first–always dangerous, especially with the French. It ended with the main character throwing herself out of a window in despair. It was devastating! So, here I am at the end of October with more uplifting recommendations. With our big move and adding a new baby, this book was a helpful reminder of the value of motherhood and habits that bring peace and joy to everyday life. “Making Time for Solitude” and “Maintain Key Friendships” were the most helpful chapters for me in this season of life! I’ve just started a new novel. Since I haven’t finished it, I guess it could be like my husband’s gift, but this one comes recommended by Anthony Esolen. We were able to hear Esolen speak this past weekend and he said it was one of the top 5 novels ever written! It is this piece written by Esolen many years ago on Touchstone that leads me to go with his recommendation. Here’s to hoping a Spanish novel set in Italy in the 1620s is better than a French novel set in Paris in the 1950s! In the car, we are listening to Swallowdale, the second book in the series. The reader is excellent. I adore these books for their simple adventure and imagination. It’s also great to have a book which appeals to an 11 year old girl, a 10 year old boy and their two little sisters! Everyone thinks it’s fun to read a book about a family with 5 children who also like to play and explore together. We have taken to calling our baby, Fat Vicky, just like they do. It was a real laugh to find out in this novel how she got the nickname! 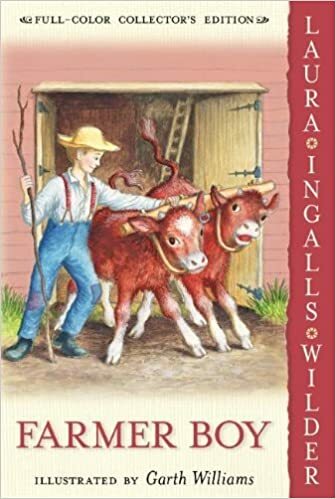 Even though the book is about children playing on summer holidays, it shows the virtues of self-reliance, fortitude, responsibility and a sporting spirit. Here’s a great article from First Things on the first one.